Fr Jerome Bertram of the Oxford Oratory spoke on ‘Holy Orders: the Sacrament, Celibacy and the Vita Communis’, Dom Mark Kirby, Prior of Silverstream Monastery (and blogger at Vultus Christi), took the subject ‘Primary and Indispensable: the liturgy, Wellspring of Life’, and Fr Guy de Gaynesford, Rector of the School of the Annunciation which is based at Buckfast Abbey, spoke on ‘New Evangelisation and the Pedagogy of God’. 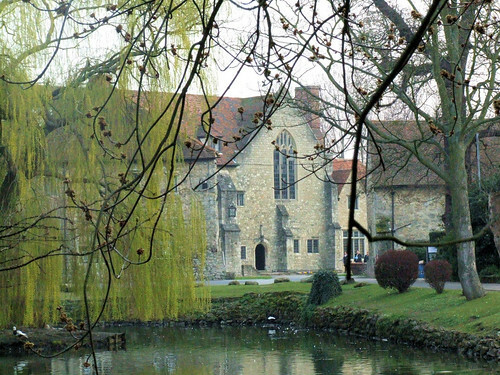 The Mass on Thursday was celebrated by Bishop Paul Mason, Auxiliary in Southwark, who has pastoral responsibility for Kent, and on Friday, the celebrant was Mgr Newton, the Ordinary of the Ordinariate of Our Lady of Walsingham. During these events, I always enjoy the opportunity over meals or at the convivium to catch up with old friends and meet fellow clergy engaged in a variety of apostolates. 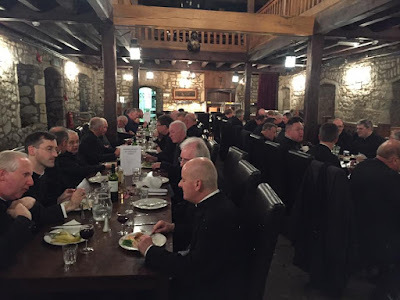 Among many others, fellow blogger Fr Ed Tomlinson was on good form, and Fr de Malleray had encouraging news of the continuing health of the FSSP in the UK.